"A connection to the community, it’s people and events." "I love that you cover a wide range of events, meetings and activities. I especially appreciate the coverage of local government meetings." "A group of my peers and neighbors that care and bring quality local programming." 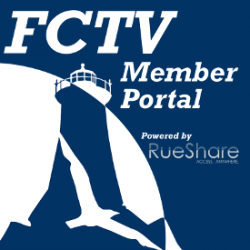 "FCTV has been a wonderful source of information, technical assistance, and equipment for me for over 20 years..."
"This is a fabulous resource for our community." "It is the 'Voice of Falmouth.'"